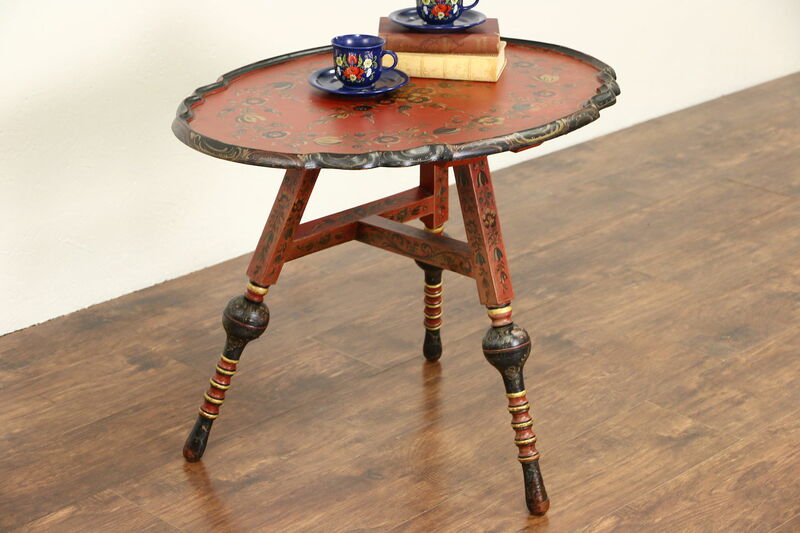 From the Tyrol region of the Austrian Alps, a hand carved and painted folk art table from around 1910 has original traditional motifs. There is slight wear, fading and crackling to the original artistry finish, preserved with clear satiny varnish. This antique European furniture is tight and strong. Size is 30" long, 22" wide and 24" tall.